The Riverina Redneck Rally concluded at Darlington Point on Friday 9 March with a gala celebration. Our good friends and organisers of the Rally, Gavin and Tammy Gilbert, presented a cheque to Country Hope for $271,000 representing the funds raised by the entrants. A total of 52 cars were involved and the Rally travelled over 3500k! This is the biggest single fund raising event in our 15 years since our inception. Gavin and Tammy have already commenced plans for the 2019 Rally! Photograph: (Above)Tom Looney, Kerry Flinn, John Studdert are pictured happily receiving the cheque from Gavin and Nikita Gilbert. 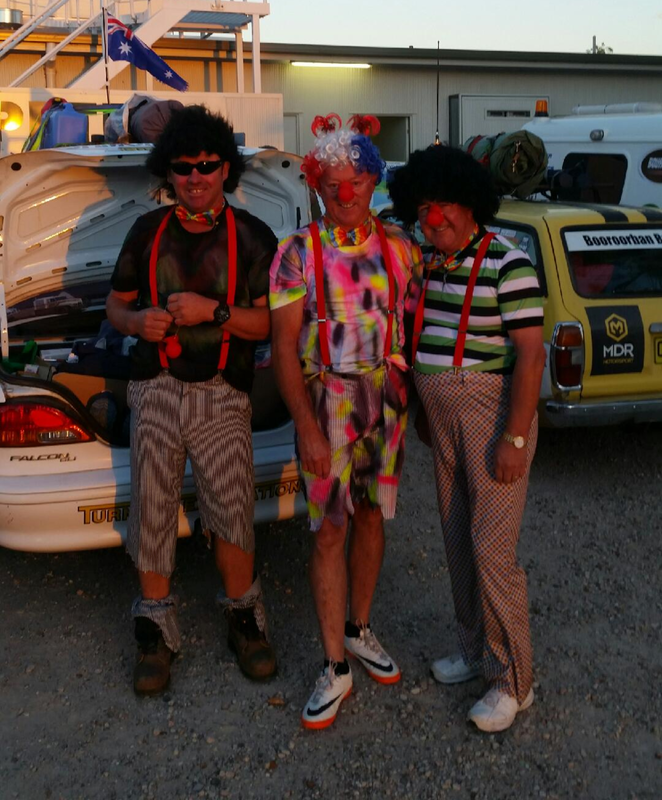 (Below) Country Hope Directors Kerry Flinn (centre), John Studdert (right) and company, clowning around before the rally.